Imagine the classic gin and tonic. Are you envisioning a very British libation in a Collins glass? Or perhaps you see Spanish gin tonic in a goblet replete with garnishes galore. Either way, those are just two examples of how you can go international with your gin and tonic pairings. 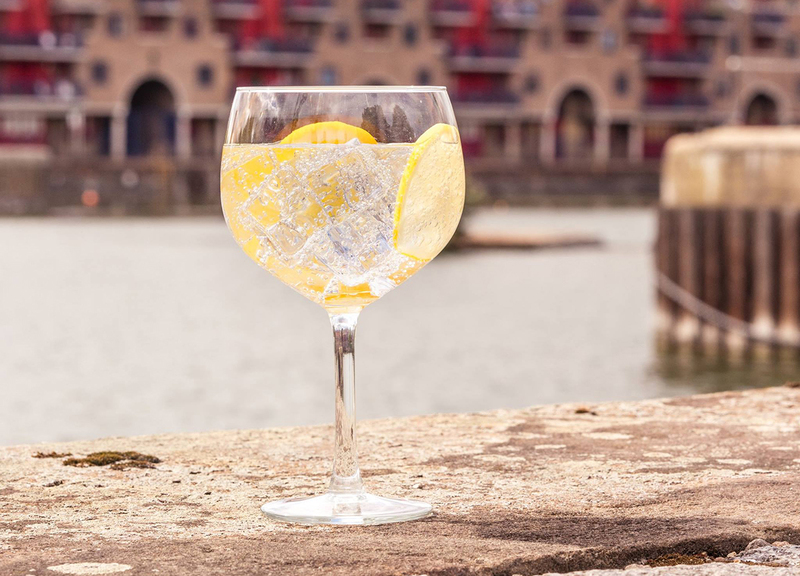 With gin being made all across the world, and a growing number of tonic brands on the market as well, you can mix and match for some very worldly gin and tonic concoctions. Spin the globe and visit these countries, drink by drink. It’s international gin & tonics time. It makes sense to start in the home of London Dry Gin, of course. 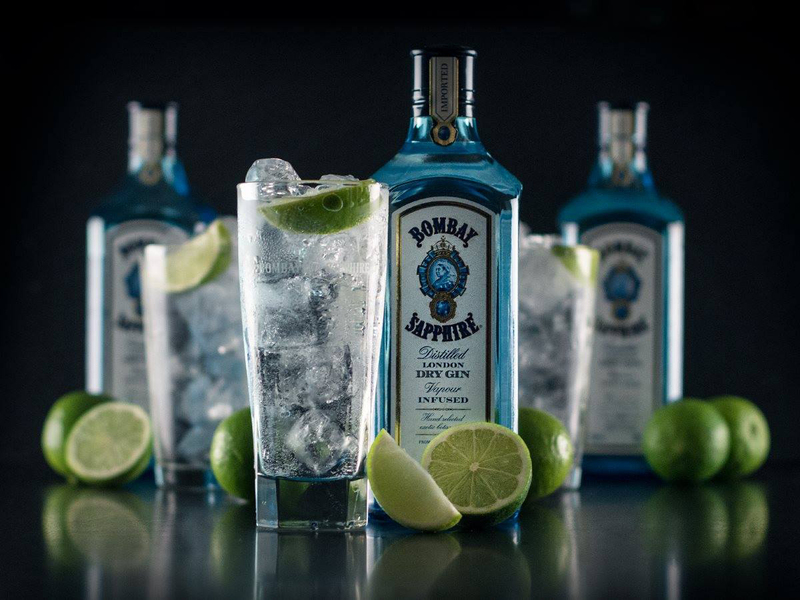 In choosing a gin from England, classic brands such as Bombay, Tanqueray, Beefeater, and Gordon’s will suit your needs. Or you can look to the new school contingent, led by brands such as Sipsmith. But you’ll also have your choice of tonics to choose from. While Schweppes got started in Switzerland circa 1783, within a decade company founder Johann Jacob Schweppe relocated to London. Today, the brand that started the modern tonic movement, Fever-Tree, is also based in London. Consider pairing new + new with a Sipsmith & Fever-Tree. Then go old school with a Beefeater & Schweppes classic combo. There’s a vast assortment of American gins on the market today. Some of the most well known examples include Bluecoat, Aviation, Junípero, St. George Terroir Gin, and Brooklyn Gin. By all means though, seek out your favorite gin from a local distillery. When you do, consider pairing it with one of the bartender favorite, high-carbonation tonics from Q Mixers. Matt Graham of Herbs & Rye in Las Vegas created his All American G&T with a base of Aviation and Q Indian Tonic. At a renowned cocktail hub, his drink is taken to the next level with honeydew melon puree, coconut water, lemon juice, and what he calls caraway date nectar (date nectar blended with caraway, strained). At home there’s no need to get so intricate, but take cues from Graham by considering the additions of fresh, seasonal fruits to build complementary flavors. Scotland may call to mind whisky more than gin, but its juniper roots run deep too. Consider that Scotland is home to Hendrick’s Gin, the brand at the forefront of the modern widening of the category. There have since been new Scottish gin brands released such as The Botanist made by Bruichladdich, the Islay whisky distillery. Caorunn Gin made by Inver House Distillers is another Scottish gin worth noting. Both brands highlight Scottish botanicals in their gin and are worthy of seeking out. If you’re familiar with the history of gin, then you might think of genever before gin with regards to the Netherlands. However, there’s plenty of gin coming from the Netherlands as well, headlined by Damrak. For the Dutch Gin & Tonic from Pejovic and Bryan Dayton, first fill a goblet style glass with ice. 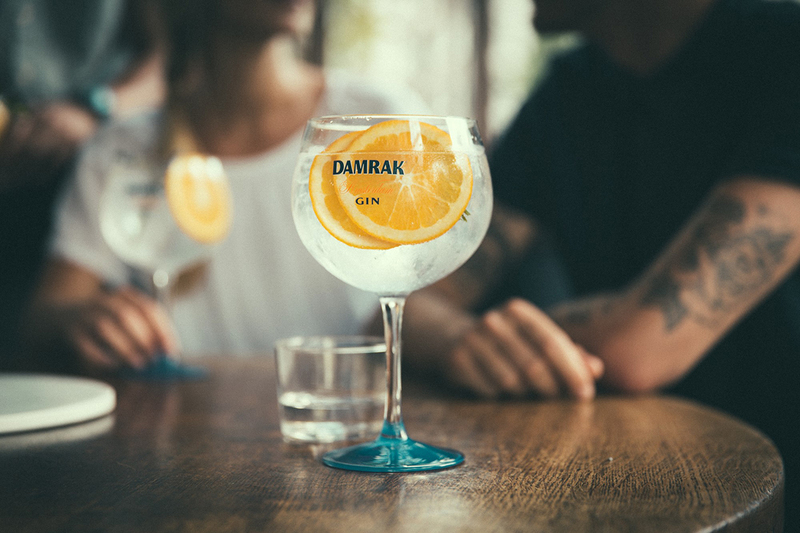 Then pour two ounces of Damrak gin and top it off with Fever-Tree Mediterranean Tonic. Finally, add garnishes such as an orange slice and rosemary sprig. Both of the most prominent Japanese whisky makers have now turned to the gin world as well: Suntory has Roku Gin and Nikka has its Coffey Gin. And just as many American brands carved out new territory with less juniper-heavy flavor profiles, these Japanese entrants are looking elsewhere by including Japanese flavors and botanicals, such as yuzu, shiso, and sanshō pepper. It only makes sense then to turn to other Japanese ingredients when using a Japanese Gin. This is exactly what Harvard & Stone’s Aaron Polsky does with his Japanese Gin & Tonic. He builds the drink with 2 ounces of Roku Gin and 5 ounces of Q Indian Tonic, incorporating pickled ume plum and pickled ginger in the glass. The plum is placed in the bottom of the glass before topping with ice and liquid ingredients. Then he slides a few pickled ginger slices down the sides with a spoon. Spain has become the heartland of the gin tonic—drop the “and” in Spain—so the country’s Gin Mare is a logical choice. Joanna Carpenter of New York’s Town Stages pairs the gin with Q Indian Tonic for her Spanish Gin Tonic. Make sure you have a proper goblet or balloon glass in order to create a proper Spanish gin tonic. Add in 1.5 ounces of Gin Mare to that large ice cube, top with Q Indian tonic. Garnish with a load of seasonal herbs and fruits—Carpenter looks to fresh rosemary, mandarin orange, dehydrated lemon, and olives. Ireland is also home to a growing number of gins, including Conncullin Gin from the Connacht Whiskey Company. Jeff Bejima of Baltimore’s Clock Restoration turned to a personal memory for his inspiration for an autumnal gin and tonic made with Irish gin. 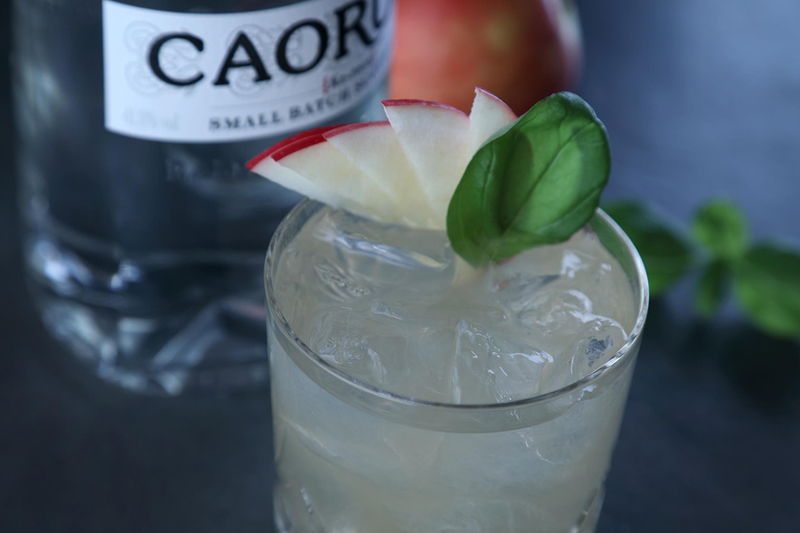 Add two ounces of Conncullin Gin to a Collins glass with a bar spoon each of honey, lemon juice, and Connemara Irish Whiskey. Top with 2 dashes orange bitters and a pinch of salt. But don’t end your world travels there. Some of the most intriguing gins today are from nontraditional countries: Germany (Monkey 47), Australia (Four Pillars Bloody Shiraz), and New Zealand (The Source Gin) are just a few examples. There’s a world of gin to explore, and we suggest you get moving. Thirsty for your own international gin & tonic?